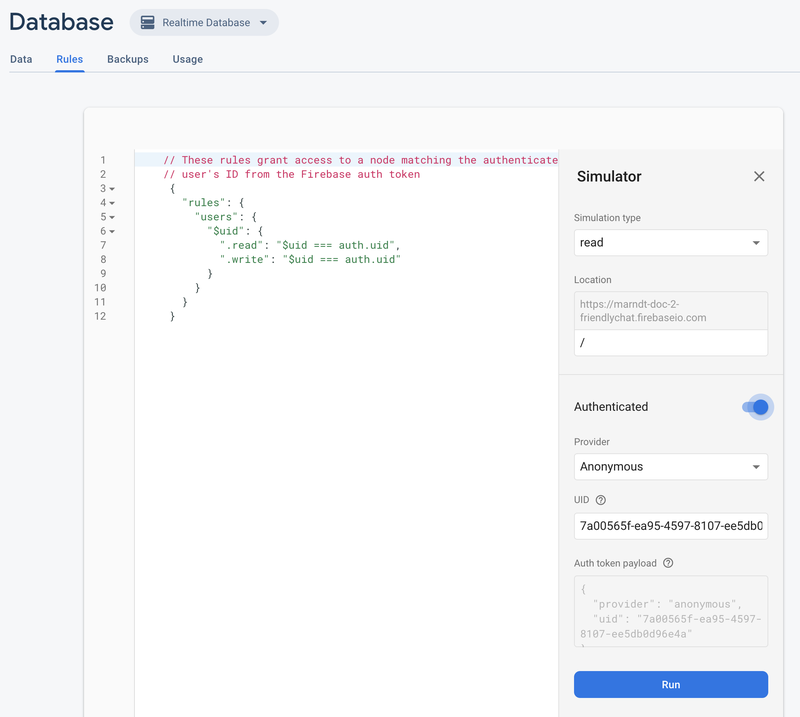 To quickly test your updated Firebase Security Rules in the Firebase console, use the Firebase Rules Simulator. configurations, use the Firebase Emulator to run and automate unit tests in a local environment. 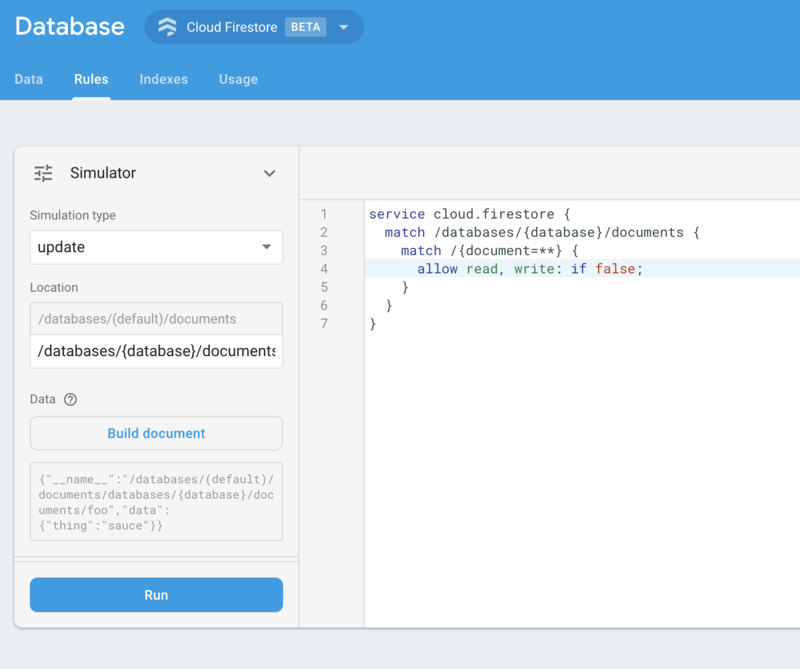 The Firebase Rules Simulator is a convenient tool to use as you're exploring new behaviors or quickly validating rules as you write them. It displays a message confirming that access was either allowed or denied according to the parameters you set for the simulation. Once you've made your edits, click Simulator from the editor. A specific Location in your database, as a path. Authentication type — unauthenticated, authenticated anonymous user, or a specific user ID. Document-specific data that your rules specifically reference (for example, if your rules require the presence of a specific field before allowing a write). Click Run and look for the results in the banner above the editor. Test the simulator behavior with the following sample scenario and basic rules. Select get from the Simulation type dropdown menu and enter a valid path in the Location field. Toggle on Authentication and select an authentication type from the Provider drodpdown. Enter the user ID details and click Run. The results of the simulation appear at the top of the editor. Depending on the user ID details you entered, you should see a banner confirming the read was either successfully allowed or denied.